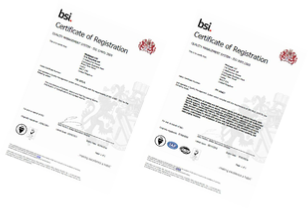 Medpage Limited is a BSI registered company maintaining BSI accreditation to ISO 13485:2003 for the manufacture of medical alarms. Certificates shown below. The main activity of the company is the manufacture of monitors for people with Epilepsy that detect and raise an alarm to nocturnal convulsive seizures. Our company is known worldwide in this field and have a well respected reputation for quality of service, prompt delivery and product support. Medpage Limited first launched the HSA in the UK during 2006 after the Managing Director bought one for his son, diabetic from the age of four. The product was used extensively while his son was at university. A close business relationship with the inventor and manufacturer of the product in the USA quickly matured. The level of accreditation Medpage Limited maintain,combined with the fact that Medpage manufacture medical products, integration of the HSA into our product portfolio was a logical transgression. More than 5000 people in the UK have purchased the HSA and rely on the device for nocturnal alerts to symptoms of hypoglycaemia.